Box it - Self Storage Canberra | Just box it! When it comes to self-storage in Canberra, don’t settle for anything less than affordability and convenience. Entirely flexible to your needs, BOX IT offers to deliver your box, store it in a storage facility, and bring your BOX IT back to you when need it. Trust the leaders of self-storage in Canberra, committed to providing hassle-free storage and moving solutions for residential and commercial clients. 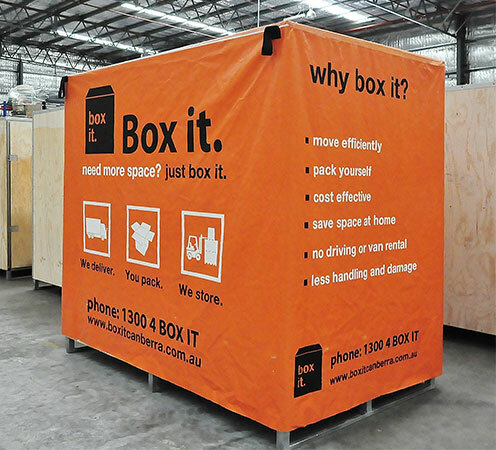 BOX IT is the first point of call for self-storage in Canberra, offering mobile self-storage, commercial storage, as well as moving and packing supplies. Known for the careful collection, handling and storage of business documents right through to home furniture, BOX IT offer state of the art storage solutions for Canberra and beyond. When it comes to self-storage in Canberra, have confidence that your belongings are taken care of and will arrive back to you safely. Our Customers Love BOX IT!